To be committed to raising happy, healthy puppies to become life-long companions. When I was 10 years old, my family adopted our first puppy, a Golden Retriever named Cam. The bond was instant; he was a member of our family and he quickly became my best friend. We were inseparable, spending as much time together as we could. We would wander through the woods together, play ball in the yard, and as each day drew to a close, I felt safe as my head hit the pillow with Cam by my side. My parents understood the importance for a child to have a dog they could call their own. Soon after adopting Cam, they ventured into raising puppies of their own with the hope that they could help other children experience the same joy I had. For many years we raised puppies, finding them homes with other families in search of the perfect puppy. It was an enriching experience to be a part of such a family endeavor. Now with a family of my own, I want my kids to have the same experience. 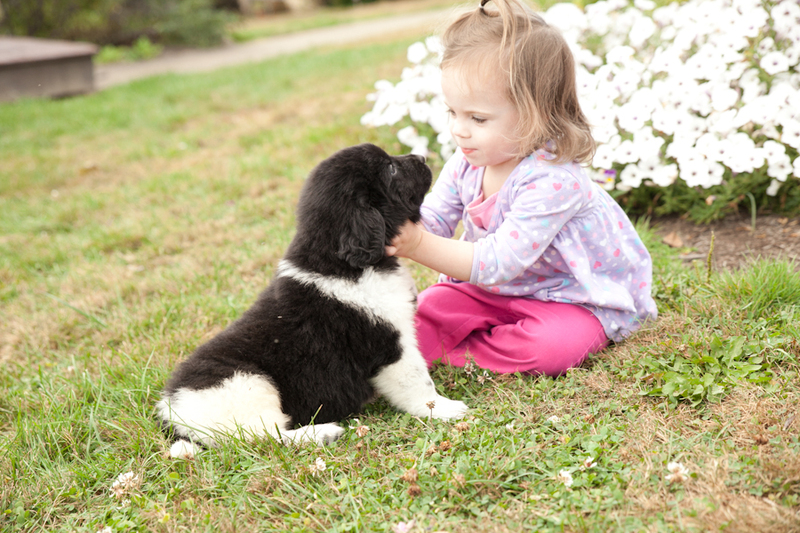 At Lifetime Puppies, the pups are an extension of our home and treated like a member of the family. We’ve been raising puppies since 2008. Our goal to raise happy, healthy puppies and we strive to socialize them in preparation to go home with their new family. Each puppy is vaccinated, receives a complete vet check and is AKC registered upon delivery. We welcome the opportunity to find a puppy that’s right for you!